Some of you know that I have print designs available in the form of various products. 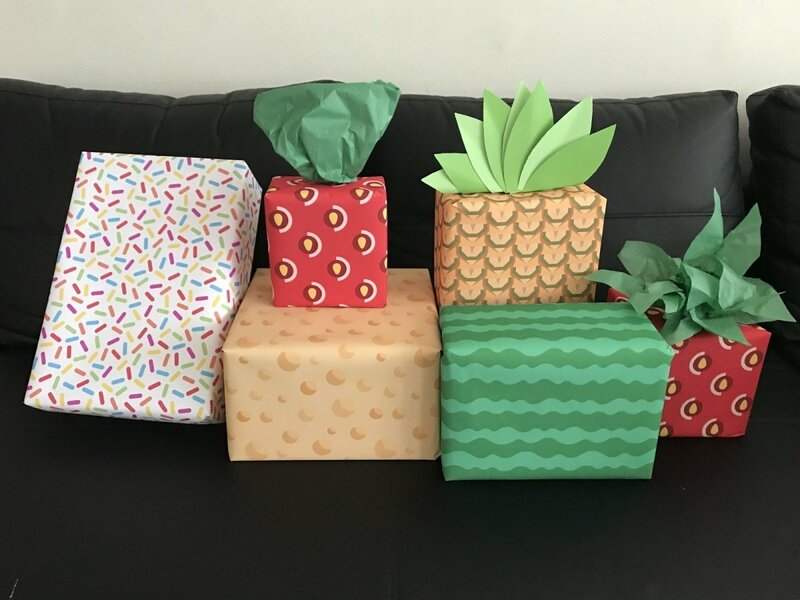 I recently got the chance to see some of the gift wrapping paper I designed firsthand. Hopefully these inspire you to make gift wrapping a little more fun. As always, if you’re looking for a particular design, just let me know. Would love to help!